On 5 Nov 2015 , three members of the WF4Dogs committee met with Scott Cartwright of the Dog Enforcement Team, Mandy Thompson and Cllr Clyde Loakes at the town hall to discuss various issues. There are a number which can now be said to come under the above heading. This autumn we put in an FOI request about the number of dogs reunited, rehomed and PTS. The council has now offered to send us these figures every April for the previous year. We hope to see the reunited and rehomed figures increased, and the PTS figures significantly decreased over the coming years. – Scott will now email us fortnightly with the outcome for each stray dog found who appears in the register at Sycamore House and/or on Twitter. – We will continue to push for the register of found dogs and their outcomes to be fully online. – The council only uses All Dogs Matter to rehome stray dogs not reunited with their owners. We would like to see the current number of dogs put to sleep because unsuitable for rehoming reduced. One way of doing this would be to have a second rescue charity on board. Scott is going to look into this. – We raised again the ongoing issue that anyone calling the DET out of hours doesn’t get a response. The council maintains that calls should get through. – If you are a dog owner can only get the switchboard,, saying they will leave a message for the DET (or that you should call back in the morning), please obtain a ‘T number’ from the switchboard and let us know. The ‘T number’ will allow us to follow up on your behalf, and will allow the council to find out what is happening. We have welcomed the fact that there now social media presence from the council and that dogs that are found are being tweeted about but have requested that we get an update as to whether the dogs have been reunited or re-homed in order that we can update the dog lost posters. This should be possible and Scott will try and implement. Waltham Forest Council are now tweeting news of stray dogs they have found @wfcouncil. We will be retweeting, sharing details on our Facebook page and add the dogs to DogLost.co.uk. The hardcopy register at Sycamore House will continue to be updated on a weekly basis. 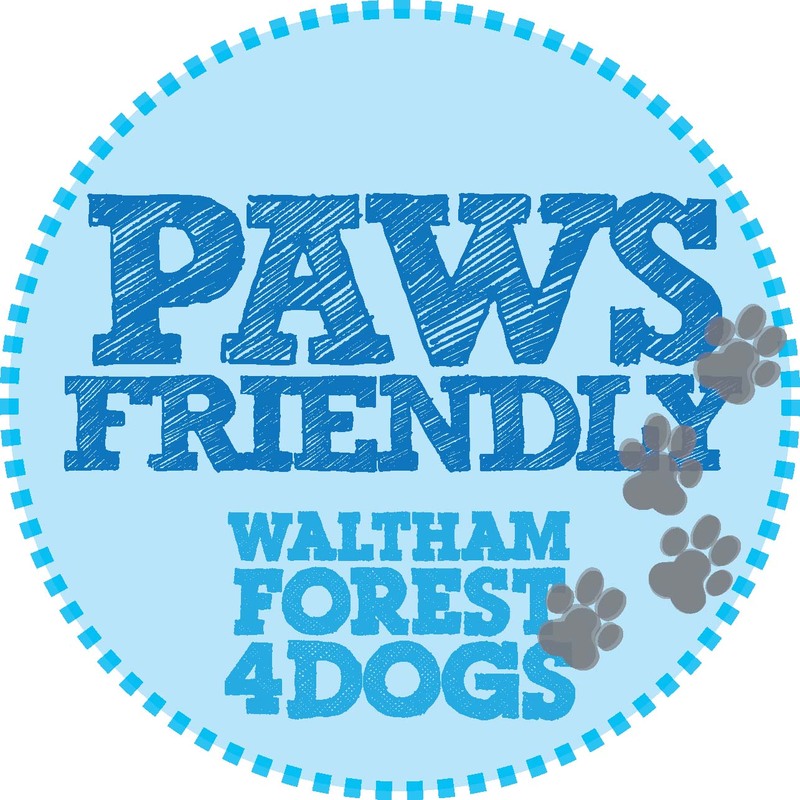 Waltham Forest 4 Dogs are currently liaising with the local council to make information about dogs in council care easier to access. On 28 January, we met with Councillor Clyde Loakes and Mandy Thompson from Waltham Forest council. The good news is that the local Dog Enforcement Team (DET) will be utilising the council’s new twitter feed to post stray dogs that have been found and handed over to them – it will be soft launched over the next few weeks. They are not currently interested in using DogLost.co.uk but say they will keep it under review. There will not be a Facebook page or online dog register, but the hardcopy register now kept at Sycamore House will continue to be updated. We will carry on encouraging them to have a greater online presence. DET will telephone any owner whose dog has been found if the information on the dogs chip and/or tag is up to date. So please, please make sure that you do this – it is critical in reuniting you with your dog if it’s found and handed to DET. For the hardcopy register, they have agreed to stop redacting the place the dog was found and if possible to try and get a clear photo of the dog so it can be identified. One of the WF4D team will try and get to the Town Hall once a week to view the register and share details of found dogs on our Facebook page. We will also follow and share posts from the Twitter feed when it is live. The council has said that the major works will be going on in the park for 12 to 18 months and that no fencing is budgeted. However, there will be heavy planting put in at the end of the works which might resolve the fencing problem, it will be a matter of lobbying at that point. If you use Jubilee Park, do let us know how this progresses. Update after 21 April 2016: funding for better fencing has been found and a dual tech 868 fence will be installed within the next 4 weeks (could be as early as two weeks). Scott Cartwright will double check with the construction firm to ensure that the gates open to the inside of the fenced off area to avoid dogs from being able to push gates open and escape and to check that the fencing doesn’t have the wide gaps as the current fencing has. The fencing will be 1.4m panels but buried into the ground, to avoid, tunnelling, and will stand at 1.25m above ground. Members had a stall at the Lloyd Park May Day Fair in 2014 to raise money for a Paws Friendly business scheme. 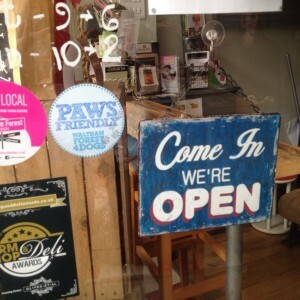 This website lists local businesses who welcome all members of our families, including the furry ones – see the Dogs Friendly tab above. 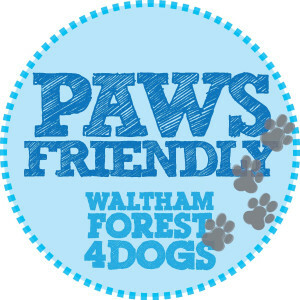 They have all been sent a Paws Friendly sticker to display on their window, so keep your eyes peeled! 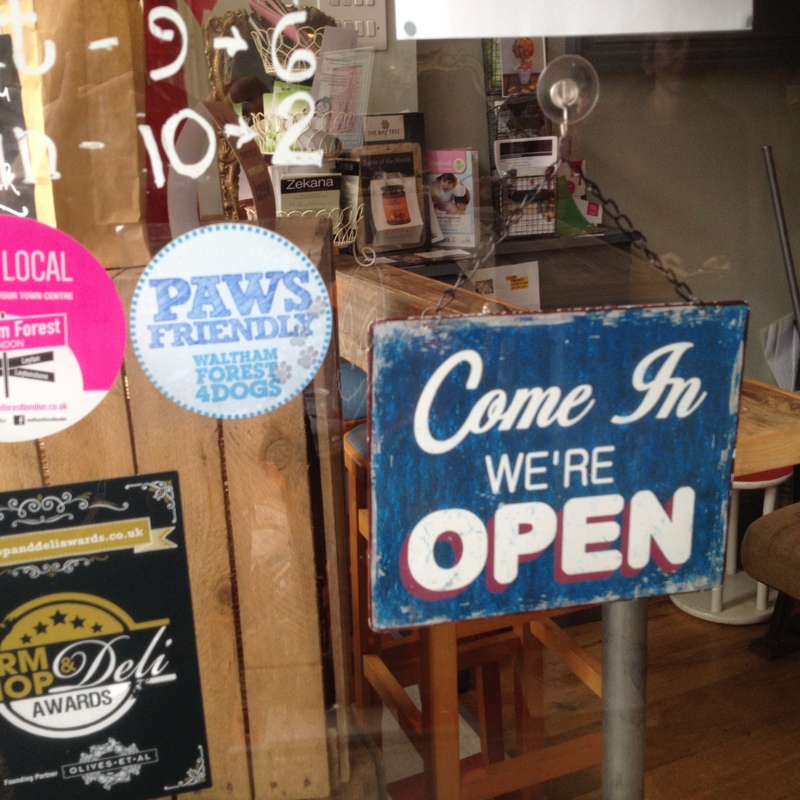 This campaign is ongoing – if you would like to nominate a local business that welcomes dogs please email us. There are now over 50 businesses in our listings! Perhaps our biggest success story is that we helped save a dog’s life. Fifi was seized by the Council in October 2014 as she was considered ‘pit bull type’ under BSL (breed specific legislation). Fifi was a nine-month-old puppy, with a very sweet temperament. Due to our campaign Fifi was exempted in February 2015. Now just over a year old, and having spent five months of her life in kennels, Fifi is slowly adjusting used to her new environment. Many of our members, including dog trainer Carly Clarke, have offered their time to support Fifi and Anna. As of 1 April 2015, the council’s invoice for Fifi’s time in kennels has not yet arrived, and more fundraising may be needed at when it does. Going forwards, we can now point members to impartial information on what to do if your dog is seized under BSL. We also have a subcommittee which will campaign against this widely disapproved of law. 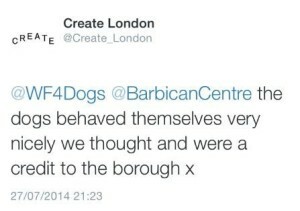 The Walthamstow Garden Party held in Aveling Fields, part of Lloyd Park, in July 2014, was originally deemed unsuitable for dogs by the local council and Barbican. Members of Waltham Forest 4 Dogs liaised with the council to overturn this decision and our pooches were welcomed at the event. We were founded in 2013 in response to the council’s lack of consultation with dog owners over proposed changes to the borough’s dog control orders. In our three-week campaign we gathered 520 petition signatures, and this led to consultation with the council over the DCOs. As a result, the DCOs that came into effect from January 2014 are fairer to responsible dog owners and well-behaved dogs than they might have been.